A day doesn’t pass when a cup of the good stuff doesn’t pass my lips. Not because I’m addicted or because it gives me an energy boost (although I’m not denying either of those points). Rather my daily coffee is a ritual. The where, how and who are just as important as the what. What use is great coffee in a soulless room with a lone grumpy staffer playing bad music? Only the whole coffee package will percolate through my memory long after the event. I had my first heart stopping coffee moment in the east German city of Leipzig. My friends Marc and Kathleen took me to Lene Voigt Park, a stunning expanse of green which seemed strangely elongated until I discovered it’s on the site of old train tracks. Here they introduced me Steffen who runs Lieblingskaffee, literally meaning ‘favourite coffee’. 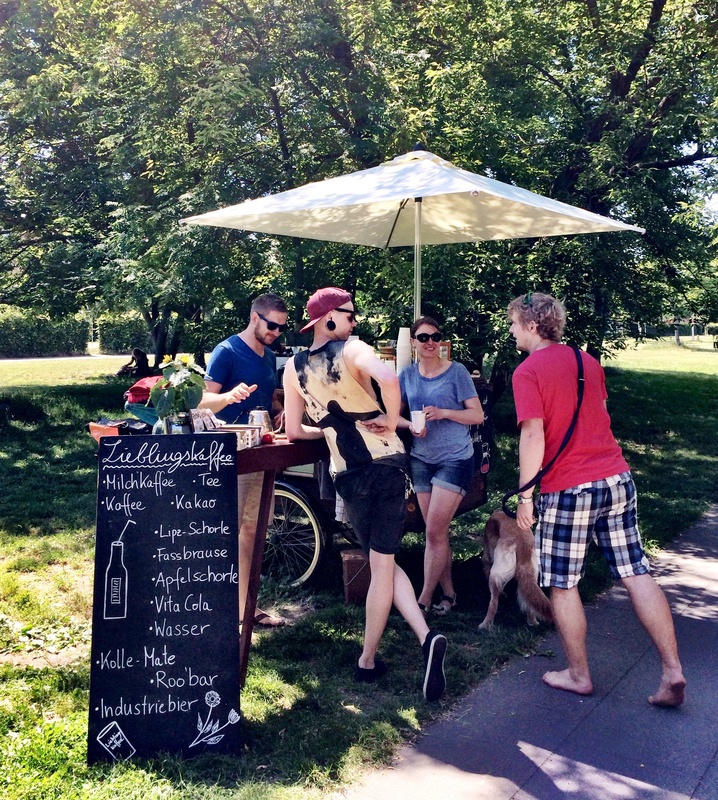 Steffen cycles his café into the park daily and sets up camp. Everything he needs is cleverly packed away and unfolded when needed. Ikea would have a field day with this design. 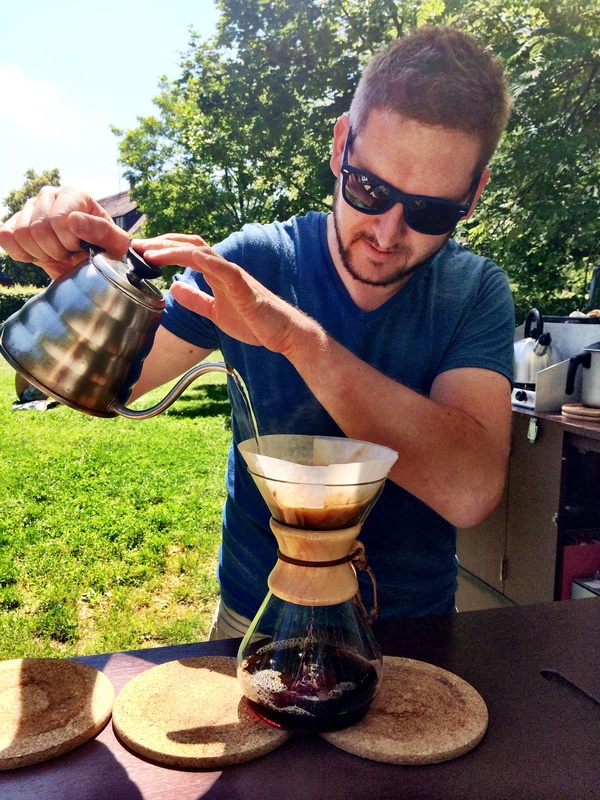 Steffen takes his time with each coffee – carefully filtering it to deliver a smooth and sprightly cup. The coffee was tasty. But the moment was heaven. A roaring sun, Marc strumming away on his guitar, locals stopping by to say hi. If you’re ever in Leipzig, you must track down Steffen and this idyllic park. In Ireland, if you mention ‘the good stuff’ they inevitably think you want a pint of Guinness. 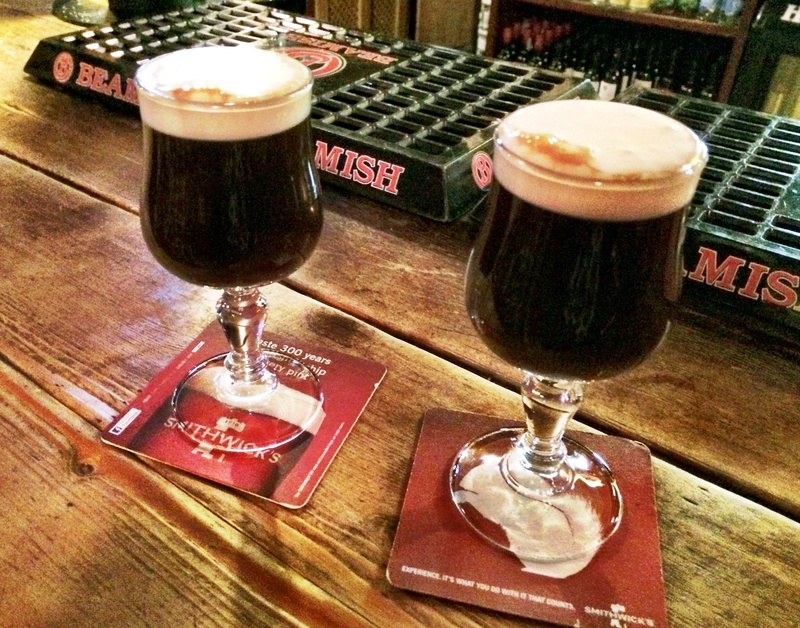 Thankfully Irish coffee is as ubiquitous as stout, unfortunately the recipe is almost as carefully guarded. Neven and I couldn’t find a single bartender who would reveal the recipe and they purposely made it out of eye’s sight, dammit. 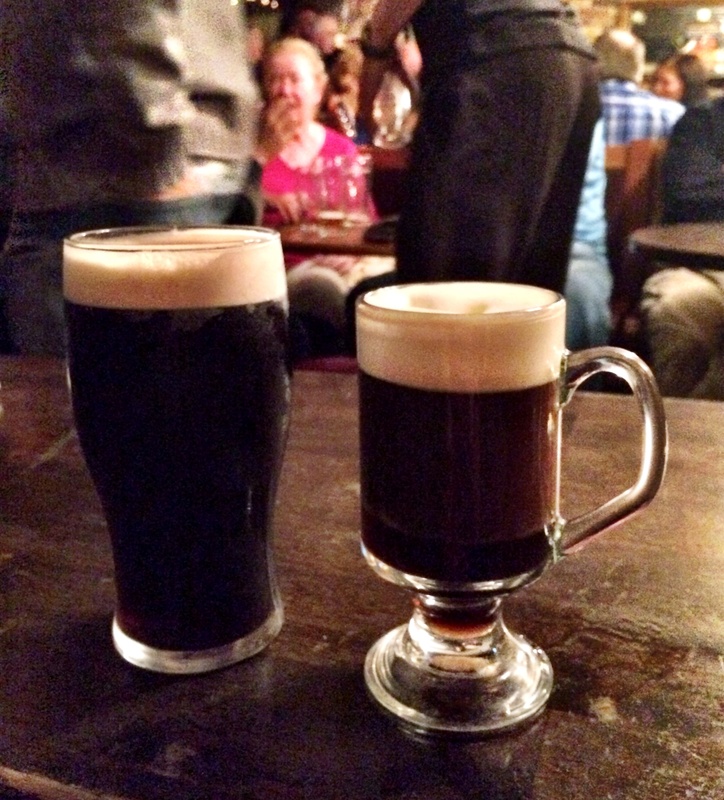 Can you tell which one is the Irish coffee? A quick google revealed it was as simple as hot coffee, Irish whiskey and sugar, topped with an almost impermeable layer of thick cream. After a chilly day exploring the Connemara district, nothing is more welcoming than a warm pub, cosy fire and large glass of this delicious concoction. And now over to London’s Monmouth Coffee. Big deal I hear you saying. 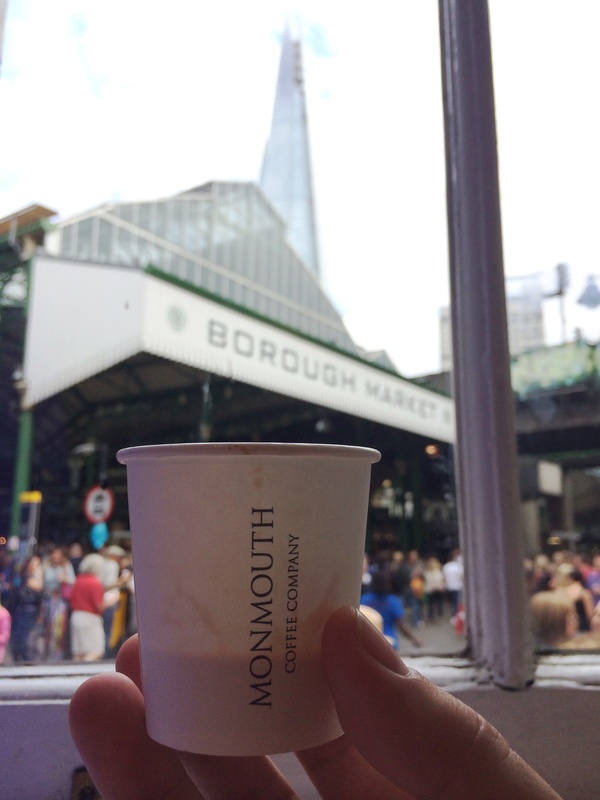 Monmouth Coffee tops every ‘best coffee’ list in London so it’s hardly an unsung hero or undiscovered gem. But by god is it marvellous. The coffee itself is of course sublime – a good body, distinct caramel notes and organic Jersey whole milk make the best latte of your life. But it tastes all the more special when you’re perched precariously on a wooden stool that took twenty minute of shameless hovering to secure, looking down at the mayhem of Borough Market. Then turn you gaze turns upwards to the arresting figure of the Shard. Now that’s a money-can’t-buy view. Accoutrements are important for any coffee experience. And in Sweden that means kanelbulle or cinnamon buns. 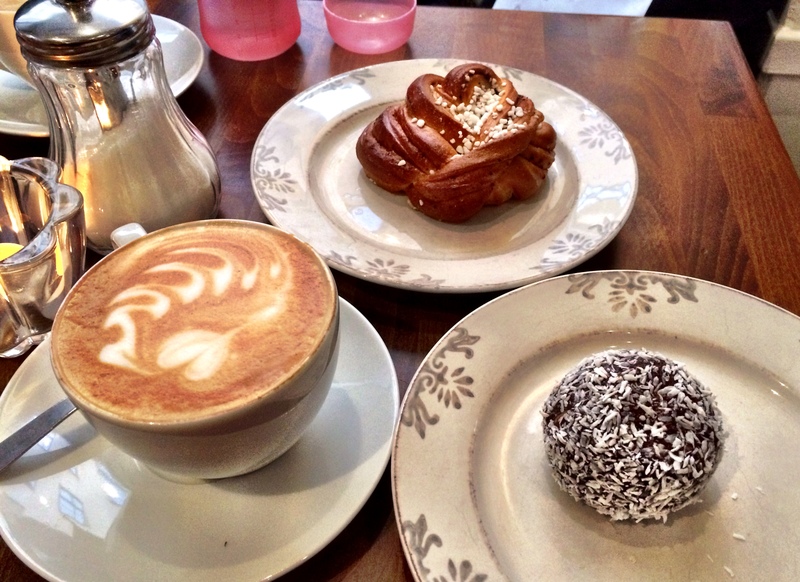 I’ve exposed my weakness for these babies before but it’s not just me – all Swedes are engineered to consume coffee and kanelbulle on a daily basis in the name of fika. The coffee in question was in the old town of Stockholm, Gamla Stan, with my local friend Claire. It was Claire who insisted I try the chokladbollar or chocolate ball (”Only if I can still order a cinnamon bun” was my response), beloved of children all over Sweden. It wouldn’t be a true list without some Sydney representation. 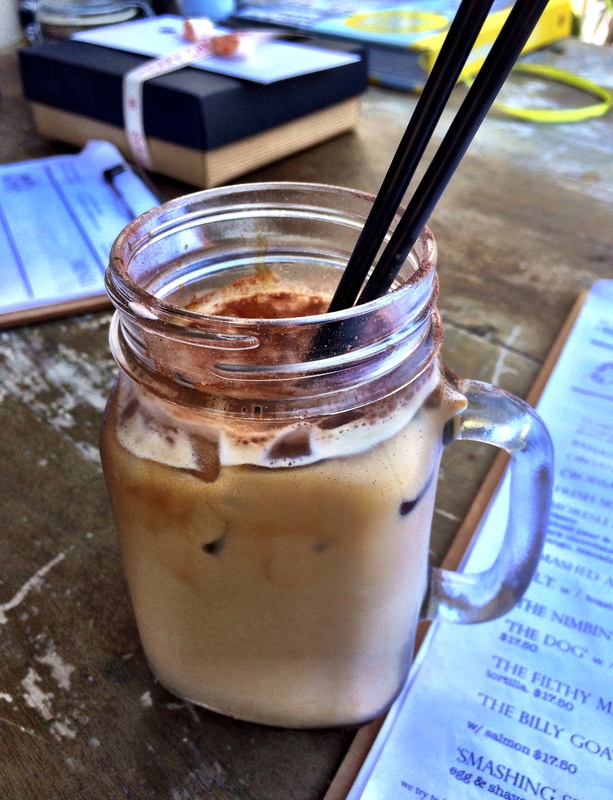 My favourite coffee moment of late was an iced coffee on a hot day with Cheryl in Cremorne. I’m always nervous about ordering an iced coffee. 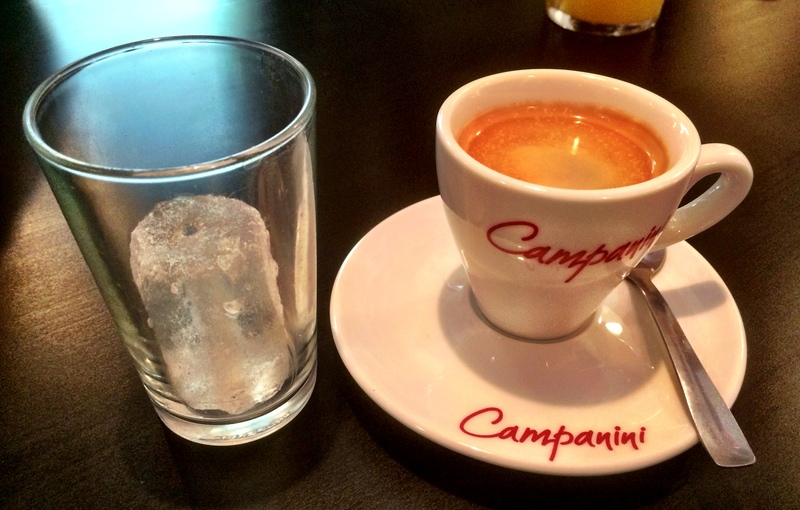 Cappuccinos, lattes and macchiatos are (almost) universally recognised and generally resemble your expectations. But you’re playing with fire (or ice?) when you order an iced coffee – it’s open to interpretation. 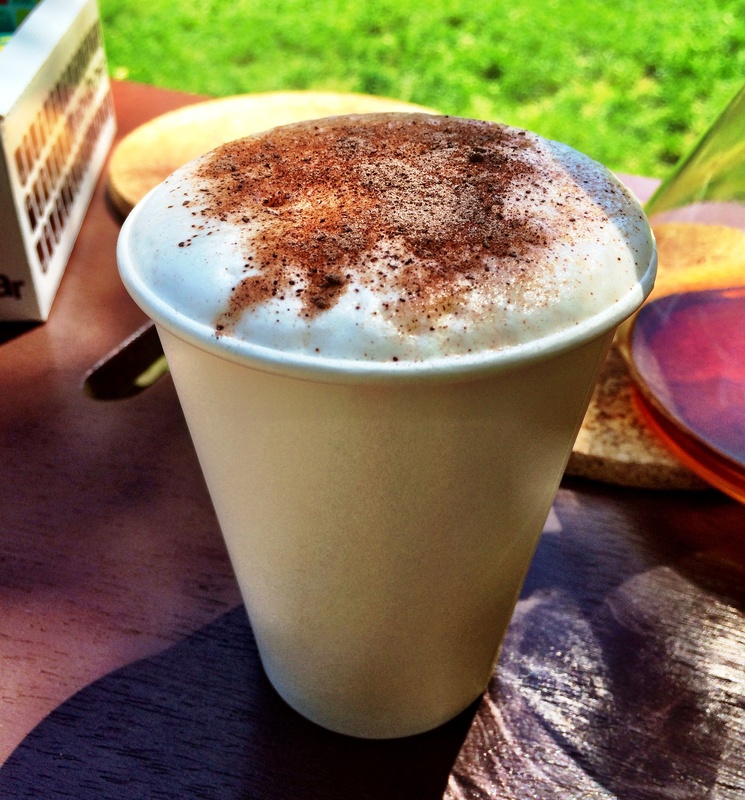 So Bread & Butter’s cold drop coffee with icy milk and a dusting of cinnamon really hit the spot. I think the drink-in-jar moment may have passed though (you know the zeitgeist has moved on once it’s on the shelves of Kmart). 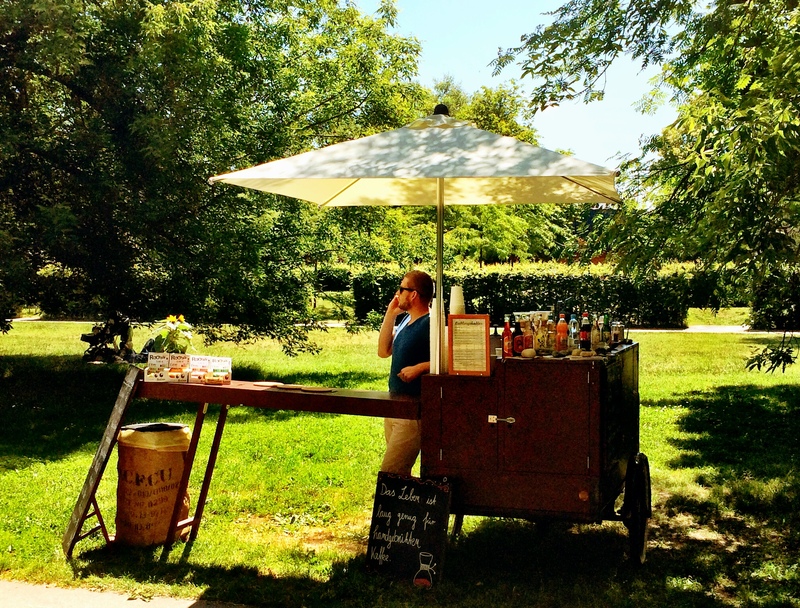 “One iced coffee please˝ I asked my waiter politely while enjoying the afternoon sun with friends in downtown Mallorca. And this is what was served. Technically he delivered what I ordered. But now you see why I get nervous ordering iced coffee! Cold brewed coffee – makes the best iced coffee – we have got a guy here in Hawke’s Bay making cold brewed coffee with and without milk – I prefer the without milk version which is delicious split with mineral water – sounds strange I know but you have got to try it on a hot summer’s day! Coffee and mineral water? Makes sense now that i think about it, I can’t wait to try it! !